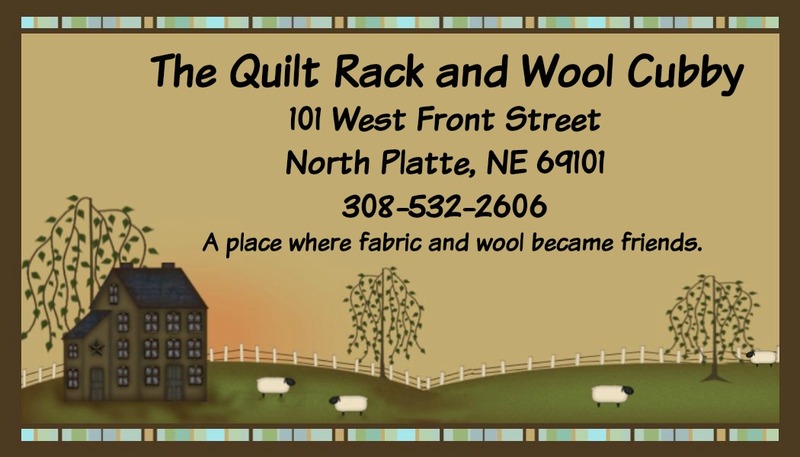 Our second quilt in the Simple Whatnot's Club by Kim Diehl. 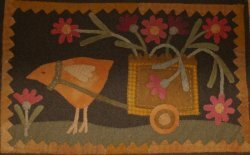 Window box has a primitive crow sitting on the flower bush atop the rows of colorful blocks and warm red background. 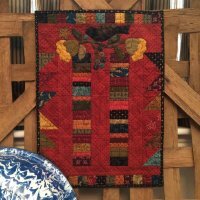 The quilt measures 13.5" x 18.5"
Henry Glass Flannel Essentials 8 fabric, binding and FREE Flannel Essentials 8 Pattern by The Buggy Barn. 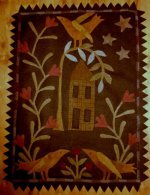 Description - This kit makes a small throw or it can be used as a wall hanging. The squares are a panel that is cut apart. 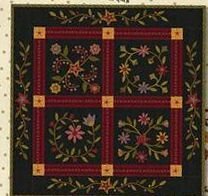 Warm, rich, country colors on a black background make up this beautiful quilt. Quick and easy to make. Finished size is 35" x 35"
I am ready to start pulling wool!